The New Teen Titans 'The JUDAS CONTRACT' TPB Cover Recreation by Greg Woronchak. 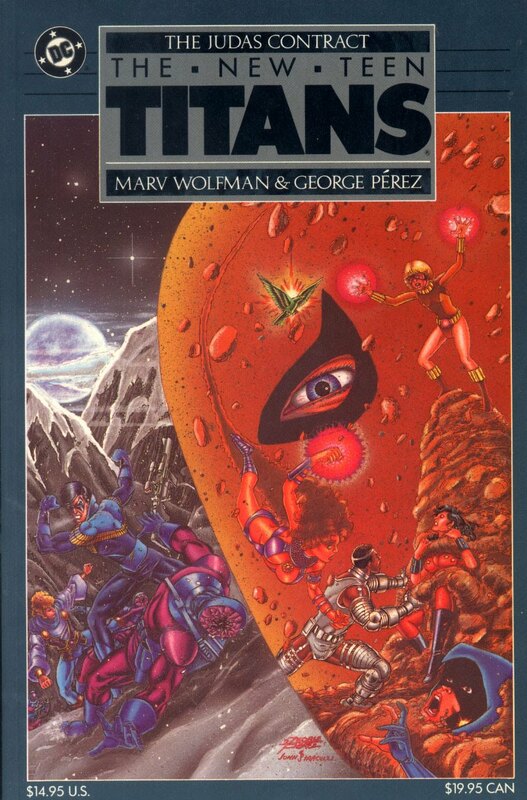 I always like this Perez's TPB cover which incidentally is the only book I do not owned. I wanted some recreation cover but wasn't sure which one to do first. Then I reallize why not recreated something that nobody have seen before. This original Perez's The JUDAS CONTRACT TPB cover was done and published in full color painting. Only a handful of people have ever seen it in its original Black and White pencil version. I was lucky enough to obtained a digital copy of it. So here it is for the whole world to see.....The back and white Ink version of The JUDAS CONTRACT TPB Cover. Enjoyed.